This is a magnificent ornament of a World Glove which is on an aluminium stand. 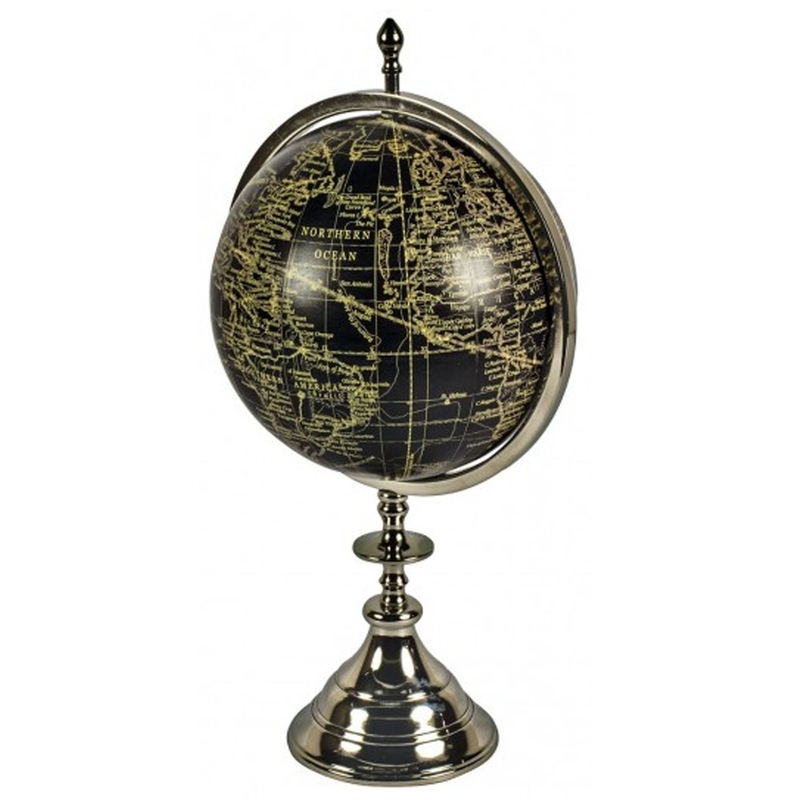 This particular globe is incredibly modern, it has a black & silver colour which makes it stand out and look incredible. It'd fit magnificently in a unique, fashionable home.